We’re proud of the diverse range of brands here at Apache. But if we had to pick out one as our flagship brand, one that our customers adore more than any other, then it would have to be Fred Perry. The British fashion legends have brought out a stunning new range of menswear for AW17 season — here’s five of our favourites. You can grab a 10% discount on all Fred Perry AW17 gear with our special offer code: FRED2017. Just enter it at online checkout and you’re good to go! 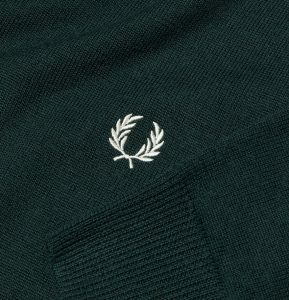 Fred Perry always excel with the most simple of designs. This stunning knitwear is made from Merino wool, practically the lightest and warmest fabric on the market. 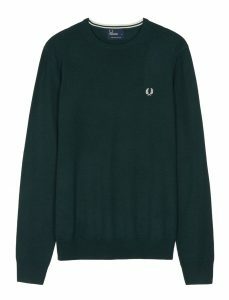 The warmth-to-weight ratio is outstanding; a million times better than chunky, heavy acrylic that so many brands pass off as “perfect for winter.” We can’t recommend Merino knitwear highly enough, especially when the Fred Perry AW17 range comes in five superb colours : British Racing Green (pictured), Dark Chocolate. Graphite Marl, Carbon Marl and Mahogany Marl. Zip through bodywarmers are very much in fashion among our loyal customers, thanks to their ease of use and heat-regulating properties. 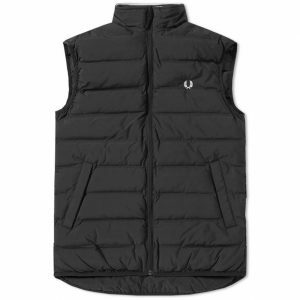 This Fred Perry AW17 gilet ticks all the boxes for a vintage bodywarmer – a simple black colour, two generous pockets, a classic quilted design and a funnel neck. Perfect for wearing over a hoodie on chilly autumn/winter days. The button-down Oxford collar adorns many of our favourite garments at Apache Menswear, and for good reason: it lends a touch of smartness to any casual polo shirt. 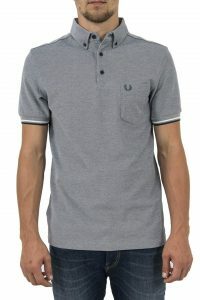 This particular shirt uses a subtle two-tone effect to create a classic mid-grey colour. 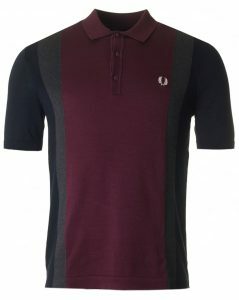 It also boasts a chest pocket bearing the classic Fred Perry laurel wreath, as well as the famous twin tipping around the cuffs. 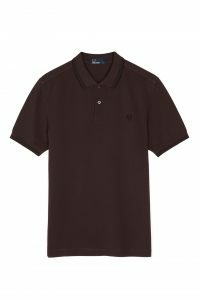 The 100% pique cotton fabric (used in all Fred Perry polo shirts) is typically lightweight and smooth. Also available in Aubergine. We love a good knitted polo at Apache. With the Fred Perry AW17 version you get the best of both worlds: a vintage polo design with the warmth and softness of knitwear. The three colour panel design brings together a vintage palate of classic Fred tones — navy, grey and burgundy. 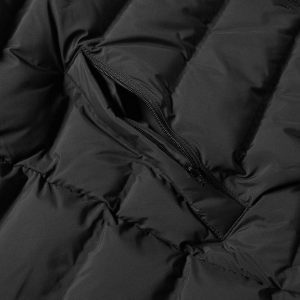 Best worn over a vest or T-shirt, although it does a fine job of keeping you warm on its own. The M3600 polo shirt is probably our #1 selling item at Apache. Fred Perry always bring out a handful of exciting new colours every season, and Autumn Winter ’17 is no different. Our favourite is this liquorice version with black twin tipping. Check out the extensive range of colours (including five new for AW17) here. 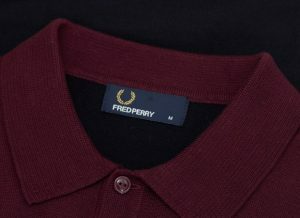 Don’t forget your 10% discount on all Fred Perry AW17 items with our offer code: FRED2017.